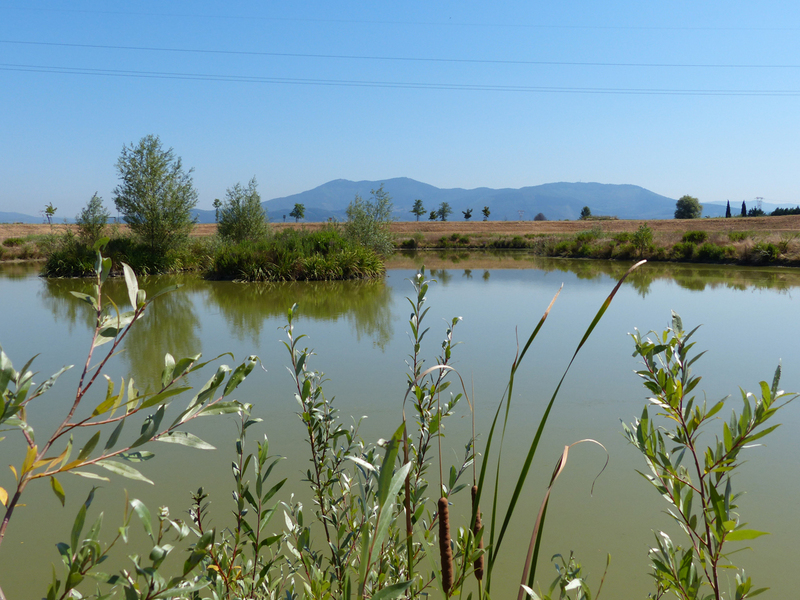 The artwork is a small wetland with some islets in the middle projected as a shelter for aquatic birds during their flight to and from the largest wetlands in the middle of the plain (Stagni di Focognano) and the Arno river system. The whole work is named after the primary function of these islets. The place where the work has been created is an area used as flood control storage, built several years before. The entire surface acted as a periurban park, however it did not have any ecological and aesthetic interest. Choosing to work in these sites corresponds to a new type of conservation action launched for the plain, now widely urbanized, that otherwise would not be able to host diverse types of local species of the area. The new strategy, which involves all public open spaces available in the plain, results in the creation, where possible, of new sites having a new ecological and landscape functionality and therefore a new ‘key-role’ within the wide territorial system. Area characterized by a vast flat land encircled by banks (flood-control storage area). 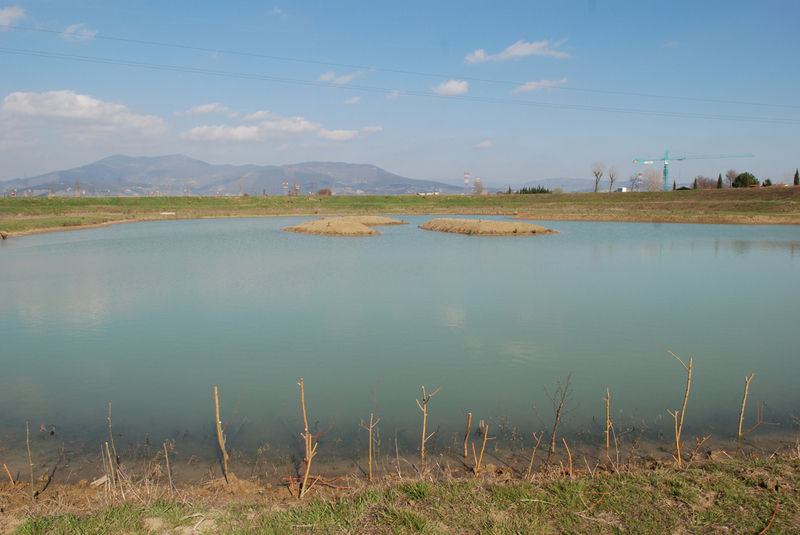 New wetland constructed by mechanical means over a previously existing area used as flood-control storage. 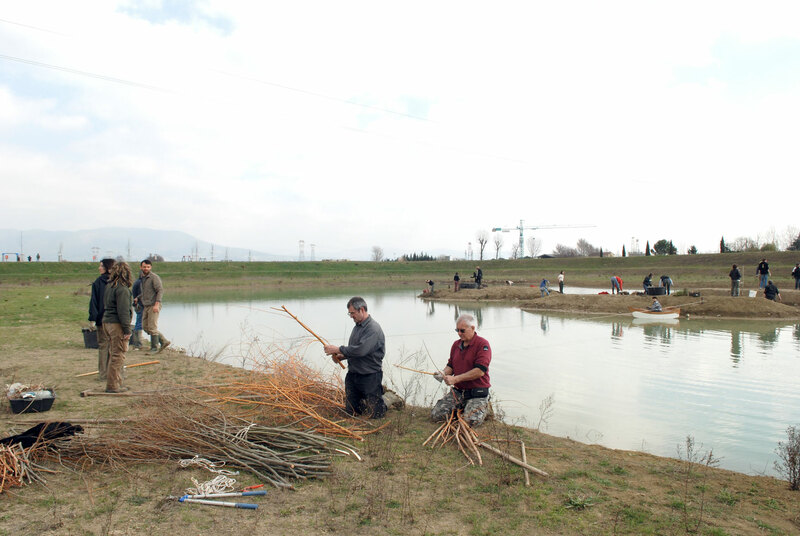 Afterwards, the artwork was completed by planting riparian and aquatic species thanks to volunteer groups (Social.Art intervention). - Waders: stopover during migration. - Rails: stopover during migration, nesting.